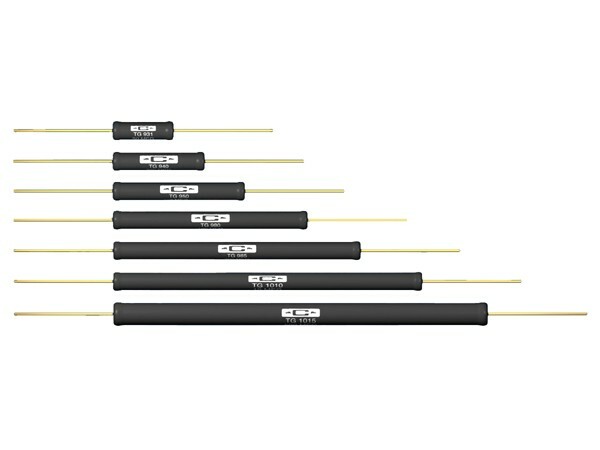 Product information "TG Precision High Voltage Resistors"
The Type TG Low TC Precision High Voltage Resistors are designed to meet the demanding stability requirements of TWT power supplies, electron microscopes, X-ray systems, high resolution CRT displays, and geoph ysical instruments. Temperature Coefficient: 25 ppm/°C from -55°C to +125°C. Load Life Stability of 0.25% per 1,000 hours at +125°C. Resistance Tolerance from ±1.0% to ±0.1%. Resistance Range from 1 Megohm to 1,000 Megohms. Maximum Continuous Operating Temperature of +225°C. The low temperature coefficient minimizes the self-drift due to power dissipation warm-up. Related links to "TG Precision High Voltage Resistors"
Customer evaluation for "TG Precision High Voltage Resistors"